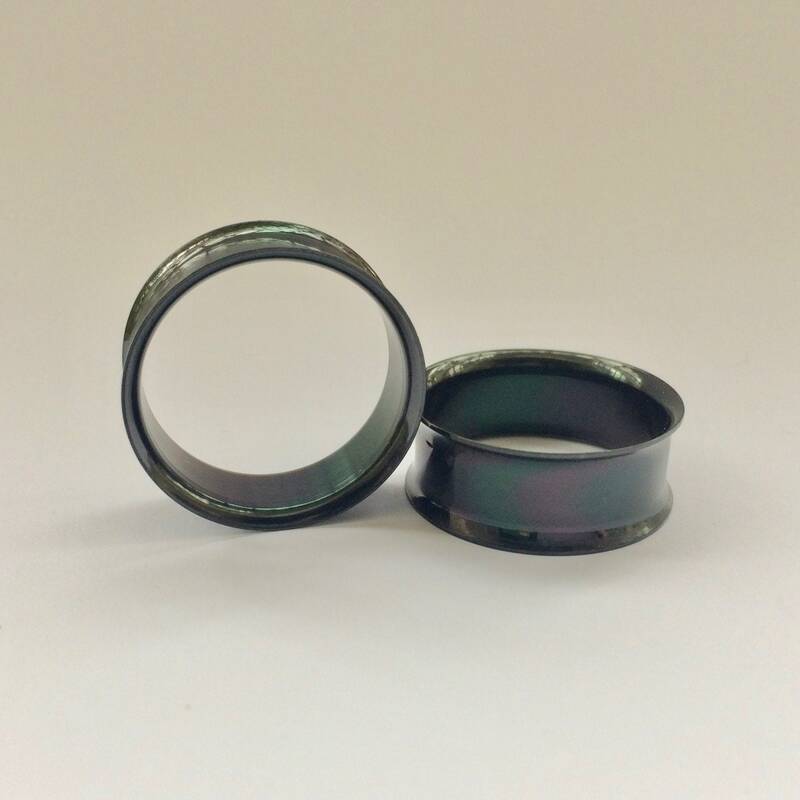 Black PVD plated steel double flare tunnels. 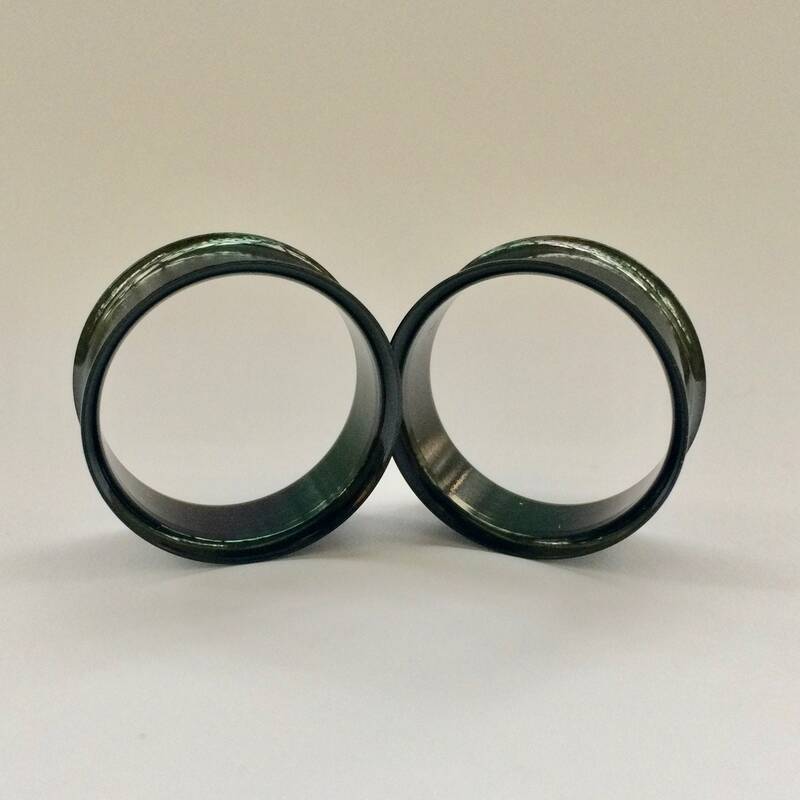 1" (25mm) pictured. Love it! Really stoked about the gauge cream that came with my plugs, smells great and really moisturizing! Parfaitement conforme à la description! Super beau et la taille est parfaite! Delivery time was reasonable to Canada and tunnels were as described. Thank you.